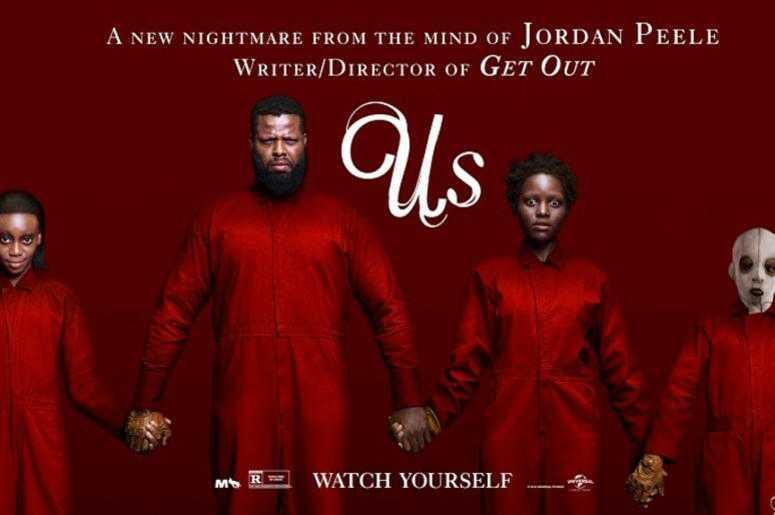 Film Critic Harlan Jacobson Reviews Jordan Peele's "Us"
Film Critic Harlan Jacobson reviews "Us"
Ever since The Blair Witch Project in 1999, the indie art-house horror film has been making a steady comeback. Get Out in 2017, by actor turned director Jordan Peele, was nominated for a Best Picture Oscar, Director, leading actor, and won Best Original Screenplay. Peele’s back. Our Harlan Jacobson went to the SXSW Fest in Austin to see his new film, US, which opens this weekend. Right and I didn’t get in to see US, the opening night film at SXSW, bursting at the seams with stuff to do and people to do it in that Texas techno-boom town that has changed so much since I was last there 20 years ago. I remember Willie Nelson’s concert corral & BBQ, eating spare ribs and beer with The Dude—you know who you are--and watching Willie work off his tax debt. It’s a whole new city now, Austin, anything can happen, which is what you’re supposed to think in a horror film. 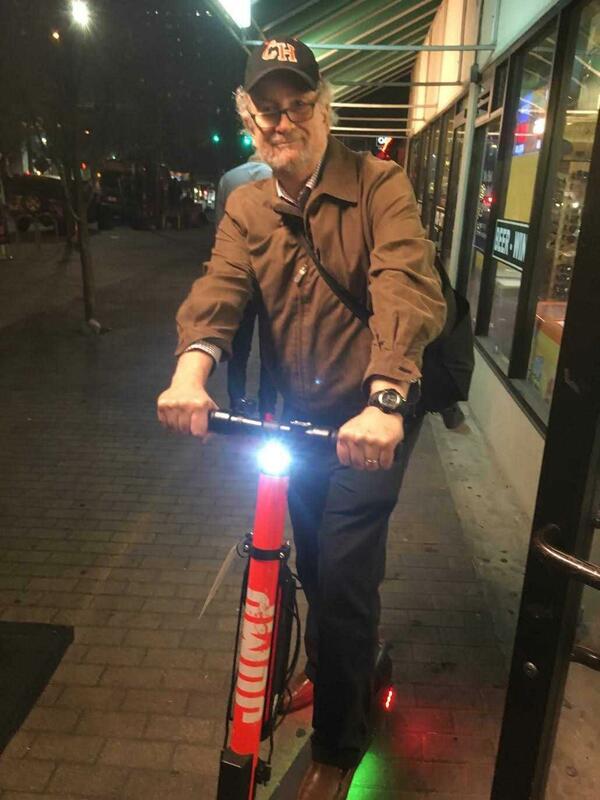 My definition of scary, however, isn’t Jordan Peele’s second directorial outing, US, but zipping around on an electric motor scooter at breakneck speed through Austin’s longhorn traffic—as in people laying on the horn a long time. Everyone seems to be on Jordan Peele’s side. He’s a class act, as witness his calming influence on Spike Lee at the Oscars last month. With Get Out, his first effort as a writer-director, the do-everything Peele ambushed the industry, as well as the public, with his haunted house pic—haunted by white liberals in Fairhope, Alabama passing itself off as Darien. There cometh a young black man, played bug-eyed by Daniel Kaluuya – who memorably acted to save himself after showing up for the weekend at his liberal, white girlfriend’s house. Only at the last possible moment did he snap out of the perennially hypnotized state white liberals seem to practice like black magic. We are in a cultural moment now that goes beyond alliances to demand purity of identity, so objecting to the politics of a horror film is like asking the Mummy to tone it down in the Quiet car. Be that as it may, as a horror film Get Out was indie-short on effects but long on its political reach. Peele’s film went wild, and his career went boom. A star-studded cast for "Us"
US, his second film as a writer-director, is as scary as an airplane Ambien. It’s Summer vacation. A middle-class black family shows up at their dacha in California suburbia, a beat away from the beach in Santa Cruz. The film opens in flashback to 1986, when Adelaide Wilson, the Mom in today’s family, played by Lupita Nyong’o, is about 12 and wanders off from her parents at the local amusement park down to the beach where she comes upon Merlin’s Forest, an off-the grid hall of mirrors, down near the water. Her tongue has been happily working over a lollipop, until inside the deserted structure she encounters a girl who looks just like her — it is a hall of mirrors, after all -- only this one is three dimensional and belongs to a shadow universe of doubles, the tethers. Adelaide, we think, makes it back outside, her eyes bulging like moons, and we flash forward to the present day with her young family--–her dufus husband, Gabe, and their two kids, Zora, about the same age as Adelaide in the flashback sequence and Jason, about 10. As they settle into hang-out-flop-mode, they become aware there’s a family of strangers outside in the shadows. They look just like them, standing there silently with Pinter’s Matchseller’s accusation in their eyes. Gabe, the Dad, all 6’5” of Winston Duke—M’Baku of Black Panther—is a good-time guy wearing his Howard University sweatshirt. He’s a long way away from summoning the inner beast that Dustin Hoffman had to find in the 1971 defense-of-the-home classic, Straw Dogs. The tethers have arrived at the present moment and seem to be intent on gutting everyone in sight with scissors. Why, when bodies are turning up everywhere, does US move so lethargically, despite the de rigeur soundtrack reminding you to throw up your hands like the guy with the applause sign who shows up before The Tonight Show goes live? 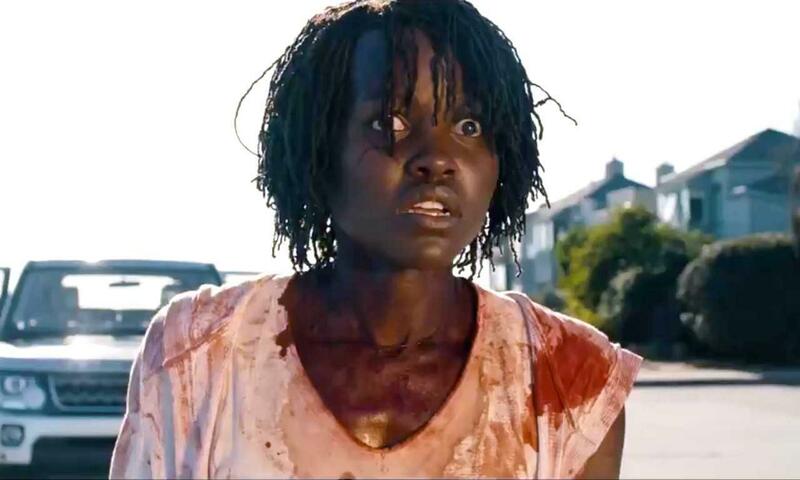 At first you think that Peele is expanding the racial metaphor begun in Get Out into deeper turf: the black middle class of the 21st Century U.S.— that spells US, too -- has become distracted by the comforts of middle-class American life. They’ve forgotten their slave legacy, which is just outside, mute and murderous. You have forgotten your history and never learned to live purposefully. At least that’s what you think Peele is up to. But after setting the black zombies loose — with a lot of barking and crazy coyote body language — Peele turns away from this in-house j’accuse, and whites out. We’re not listening in on an in-group discussion at all. This is no black jeremiad meant to raise black consciousness. The whole block, black and white, does nothing but watch their 75-inch flat smart TV screens. And that’s what this is about, pointless suburbia. White doppelganger zombies are out paying discourtesy calls on white neighbors, too. America is beyond a wakeup call -- kill ‘em all and let sanitation sort it out. The whole cast gets to do flip sides of their character, which is straight out of Barry or The Kaminsky Method acting school. Lupita Nyong’o, from Black Panther, 12 Years A Slave, Queen of Katwe, and Star Wars, is always a little mesmerizing and shows the most subsurface — which is what US is supposed to do, to lead us to our dark space. I will tell you that Duke is there as the dad, Elizabeth Moss is there as the itchy neighbor, Shahadi Joseph and Evan Alex are there as the kids, and that there’s a basement full of white rabbits in search of the carrot of metaphor. They all get the job done. But any five minutes of George Romero’s 1968 Night of the Living Dead can still level Congress and scare the pee down your leg. I’ll bet I know how it ends, you say, and 116 minutes of US later, you’re right enough. All movies are horror films. They’re rides, they’re about giving up control to the assembled talents behind story, image and sound. The films we call horror are just further out on the continuum, though wandering down the wrong street in Tegucigalpa is a lot scarier to me than scissorhands, fireplace pokers, or in the case of US, scissors and a few packets of ketchup. By the time US ponders cutting your throat, you’re unconscious anyway. Click above to hear Harlan's complete review. Oh sure, the Oscars are a fine mess and you call the film critic in to make sense out of it. I once had a boiler guy refuse to come service my dying boiler in the dead of winter when I had shivering babies at home. “Polsky don’t come to your town never,” his secretary told me. “You tell Polsky one day he’s gonna need a film review and he can go f--- himself,” I said. Well, now Polsky is probably at home, unable to make sense out of the hot mess of the Oscars and needs a film critic. I’m here for you BGO peeps, not Polsky.